Moving your business forward, all the time. AM-Route is the complete, autonomous mobile robot solution. Fully autonomous, intelligent vehicles increasing throughput, reducing transportation costs and machine idle time, while allowing employees to focus on tasks that require complex human skills. Part traceability at the highest standards, thus eliminating errors. 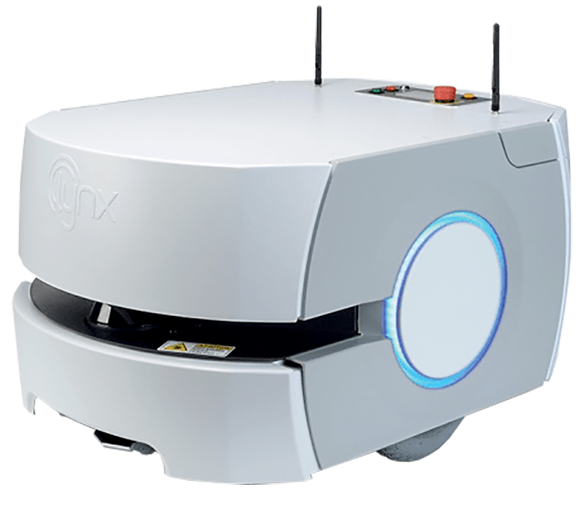 What’s more, unlike traditional AGVs, the mobile robots from our partner Omron navigate by the natural features of the facility and require no expensive facility modification. The AM-Route solution is available in a lease model. The lease model provides you a hybrid solution for your factory of the future. The AM-Route solution is available to buy. This model provides you full ownership of the solution for your factory of the future.